Growers everywhere continue to face challenges in growing abundant fruits and dealing with crop diseases, while keeping manpower and energy costs to a minimum. What if there was a foliar application system that could be used to apply insecticides, fungicides, and foliar fertilisers, while conserving energy and saving on manpower? Would you be able to imagine it? Well, guess what? You don't have to! It is the only commercial static foliar application system that is ready-for-use at anytime, helping growers maximise their yield of raspberries, kiwis, apples and strawberries. By preserving the quality of fruit while saving on manpower, protecting growers and the environment, the Crop Care Solution is a cost-effective and environmentally friendly system that makes financial and agricultural sense. 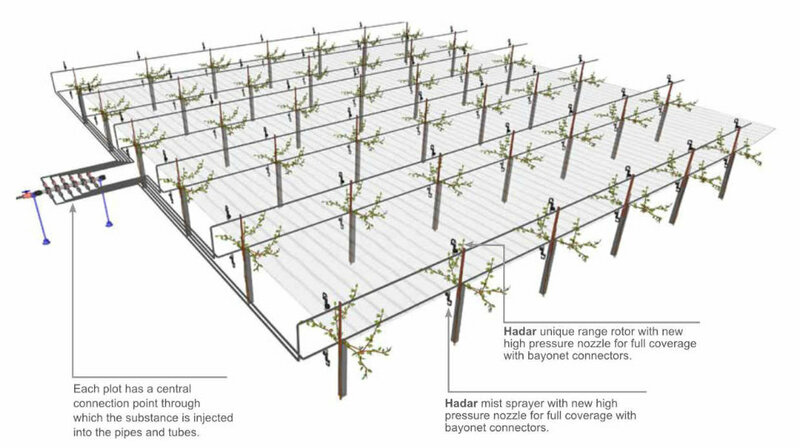 The Crop Care Solution is a static injection system custom-tailored to meet orchard needs. 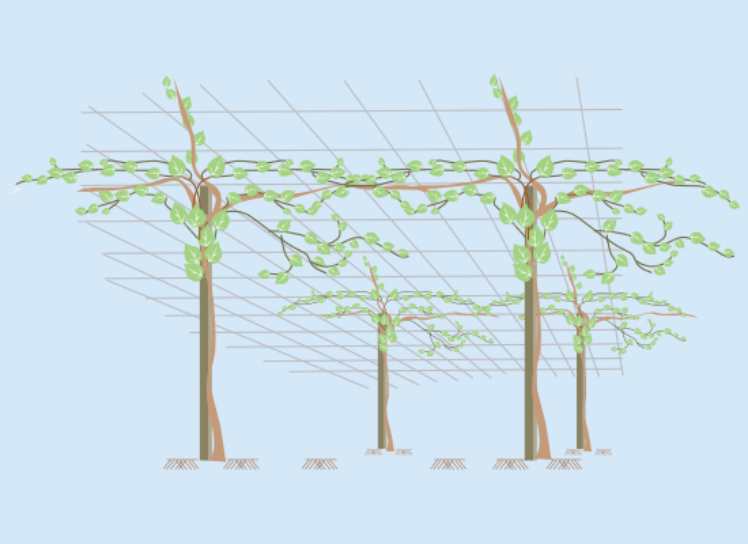 It takes into account tree type, height, method of planting, as well as stage of development and different cultivation methods using various techniques of propping and trellising. A single operator inserts the substance through an injecting device from outside the treated area, eliminating any risk of exposure to it. Each plot has a central connection point through which the substance is injected into the pipes and tubes. The pipes that connect to the central connection point to the DSM machine or injection mobile station. The NDJ foliar application Crop Care Solution is a cost-effective, time-saving and ready-to-use anytime. 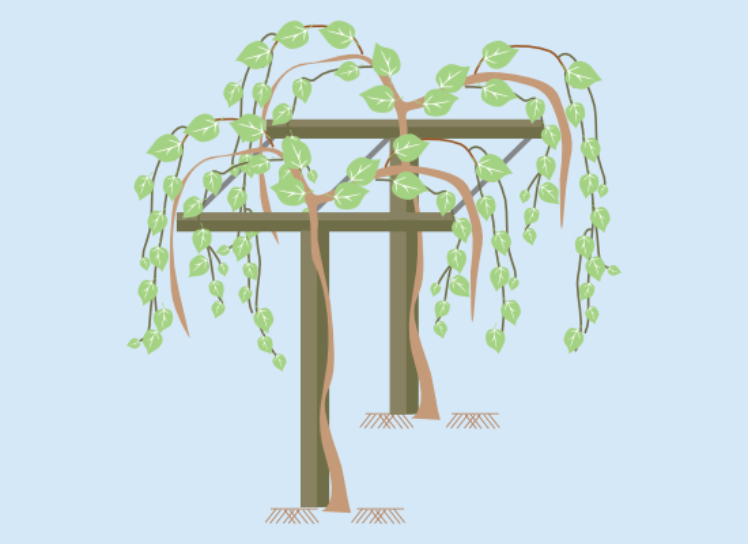 It is a unique system in the world, easy to operate, efficient to manage without harming trees or their fruits, without compacting the soil during wet seasons and functional at any weather conditions.